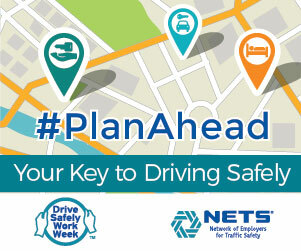 To help reduce motor vehicle crashes, the Maryland State Highway Administration (SHA) and partners are proud to join with the Network of Employers for Traffic Safety (NETS) in support of their annual Drive Safely Work Week (DSWW) recognition. The campaign’s message is to get everyone home safely at the end of each day. 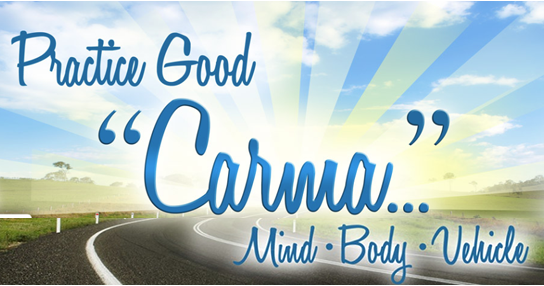 Although the national observance of the campaign takes place each year during the first week of October, the materials are not dated and can be used throughout the year for continued promotion of safe driving practices. Founded in 1989, NETS is a non-profit partnership of socially responsible public and private organizations dedicated exclusively to traffic safety in the workplace. This year’s campaign underscores why advance preparation before getting behind the wheel is important. Whether checking the fuel gauge the night before, thinking through your route, arranging for a designated driver or planning practice sessions with a teen driver, planning ahead is a key element of safe driving. Additionally, SHA is highlighting pedestrian and bicycle safety and the need for drivers to share the road and stay alert for those walking and biking, especially as days grow shorter. Look out for others – especially our friends on two wheels. Pass bicyclists carefully, allowing at least three feet of space. Allow more room when following. And make turns carefully – look twice before making a right turn. Avoid blowing your horn at bicyclists. Bikes belong on the road too, and should travel in an expected manner. Recommendations for cyclists include: riding predictably, staying visible and wearing reflective, protective gear, as well as following traffic laws such as stopping at traffic signals and stop signs. 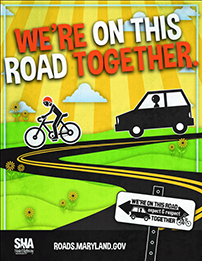 Download this tip sheet for drivers and bicyclists. With the “Back to School season” well underway and the celebration of International Walk to School Month in October, SHA is also reminding pedestrians and drivers to share the road. Each year in Maryland, on average 100 pedestrians are killed in traffic vehicle collisions. Pedestrians should be sure to use marked crosswalks and sidewalks when available, stay visible at night with reflective and/or bright clothing and pay close attention. Likewise drivers need to remember that Maryland law requires drivers to stop for pedestrians at all crosswalks. Travel the speed limit because speeding only makes it more difficult to stop for a pedestrian. When turning, yield to pedestrians in the crosswalk who may have a “walk” signal. Stay alert – distractions make it more difficult to detect pedestrians on the road.